Riviera realty - The French Riviera remains one of the most desireable places to own a property on the planet. Karen Tait finds out where the hotspots and cool deals are to be found. Our thanks to Karen Tait the editor of French Property News for consent to include this article from the September 2006 edition of FPN here. The French Riviera is one of the most glamorous - and expensive - places to live in the world. A playground for the rich and famous, it immediately conjures up images of gleaming white yachts, stately villas, casinos, private beaches, chic bars, restaurants and clubs, sports cars whizzing along the scenic corniche roads, the Cannes film festivaL.. serious money and powerful people. Having said that, in the peak summer season tourists visit from all over France, Europe and the world, not all of whom have bulging wallets. Although the jetset really hit its shores in the 1960s, the Mediterranean coast has attract- ed settlers since prehistoric times. Homes were first built around the beaches of Terra Amata (now to the east of the harbour in Nice) in 300,000BC, while in 200,000BC the Lazaret Cave (in Nice) was inhabited by hunters. 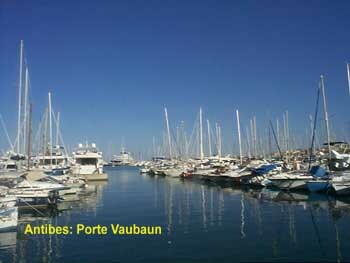 Roman civilisations made their mark on the area from the 1st century - the harbour at Fréjus was created by Julius Caesar, and Antibes and Cimiez were also Roman settlements. Christianity spread along the coast in the 4th century. After the fall of the Roman Empire Provence came under the authority of the Barbarians, Visigoths and the Francs. It was also invaded by the Moors and the Saracens. Through the centuries Nice was fought over by France, Italy and the Dukes of Savoy. The city and its hinter- lands only became part of France in 1860 after Napoleon III helped Vittorio Emanuele II of Savoy create the future kingdom of Italy. In the late 19th and early 20th centuries, the Riviera became a fashionable winter resort, especially with the British upper class - Winston Churchill was a regular visitor. Later it became more popular for summer holidays. Nowadays it attracts around 9.3 million tourists a year, with a plethora of activities on offer. Although the beautiful setting is natural dramatic mountains and foothills rolling down to the sandy beaches and azure sea the whole coast is built up now, with developers fighting over any remaining building land. The Riviera doesn't refer to an official area of France - it sits within the Provence-Alps-Côte d'Azur region and the Alpes-Maritimes departement. As it's not an official region, there are no official boundaries so inevitably there are disputes over where it ends (it starts at Menton at the Italian border). Some say it stops at the border with the département of the Var, after Théoule-sur-Mer, while others suggest it extends further along the Var coastline, as far as St-Tropez, and possibly to Hyères or even the border with the Bouches-du-Rhone département. The main towns along the coast (east to west) are Menton, Monte-Carlo, Monaco, Beaulieu-sur-Mer, St-Jean-Cap- Ferrat, Villefranche-sur- Mer, Nice, St-Paul-de-Vence, Sophia Antipolis, Antibes, Juan-Ies-P1ns, Grasse, Cannes, St-Raphael, St- Tropez and Hyères. The capital, Nice, has an international airport and TGV train service from Paris, making it easily accessible. Contrasting with its more recent Italian style architecture, the Old Town represents the city's medieval heritage, with redctiled roofs and narrow winding streets full of shops and restaurants, and a flower market every morning on Cours Saleya. Seafood restau- rants sit alongside the beaches, which are mainly shingle (they only become sandy at the Antibes peninsula). Nice enjoys an enviable position on the Baie des Anges facing Antibes. The Promenade des Anglais has been a favourite spot for a stroll since Victorian times. Running the length of the seafront at Nice it's lined with cafes and hotels, the grandest probably being the Négresco, featuring Empire and Napoleonic decor. Now a national monument, it was built in 1912 by Hungarian immigrant Henri Négresco. He was director of one of the city's casinos and wanted to create a hotel that complimented the casino's revered clientele, such as the Rockefellers. In World War I the hotel became a hospital. Négresco died a ruined man after the war. 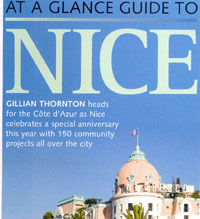 Nice has come a long way since being the seaside resort for English aristocrats - it's now France's fifth biggest city. and its airport is the second busiest in France, with 9.2 million passen- gers per year. International flights account for 51 % of total traffic, and there are 12 daily flights to and from London. There's always something going on in Nice, the best known event probably being the jazz festival at Cimiez in June. Antibes has a lovely old town, ramparts by the sea, a long wall beside the port and a Picasso museum. Restaurants and shops line the picturesque streets and there's a daily market. In spring the city hosts one of Europe's largest antiqueshows. The Greeks first colonised Antibes 2,000 years ago. Nowadays the sandy beaches make it a mecca for holidaymakers, and a selection of the world's most luxurious yachts can be admired in the large marina, in some way continuing the town's seafaring history. Cap d'Antibes is home to some extremely plush estates, even by Riviera standards. 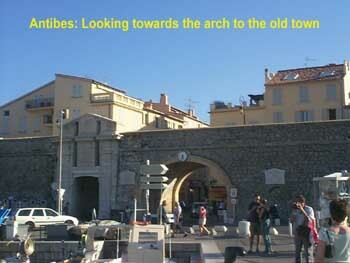 Le Vieil Antibes, with its cobbled streets and village ambience contrasts with the modern city. the second largest in the Riviera. Thanks to the yachting business and industry at nearby Sophia Antipolis Antibes has a large English-speaking population. 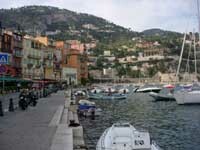 The nearby resort of Juan- les- Pins is fashionable with younger crowds as well as families. It has a number of private beaches, and many bars and restaurants, plus market stalls along the promenade in the evening. 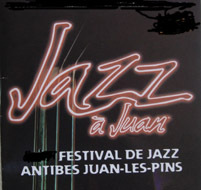 The respected Jazz à Juan festival is held each summer in the Pinede (pine grove).With its hectic nightlife it's hard to believe Juan-Ies-Pins used to be a tranquil spot of pine trees and sandy beaches until its conversion to tourism in the 1920s and 30s. Eight kilometres from Antibes is France's 'silicon valley', Sophia Antipolis. Created in 1974 it is now home to over 1,000 companies, many interna- tional, including household names of the computer, communication and technology industries. It's also a centre of educa- tion with over 2,000 full-time students and departments of some of France's leading universities. It's surrounded by some of the Riviera's most beautiful villages. For a real celebrity hangout head west for Cannes, especially during the international film festival in May. Between the sandy beaches (many of which are pri- vate) and grand hotels the palm- tree lined La Croisette prome- nade is home to designer bou- tiques, cosmopolitan hotels and the Palais des Festivals, the city's main events venue - the pavement in front of the building has imprints of French and Hollywood stars' hands and feet. 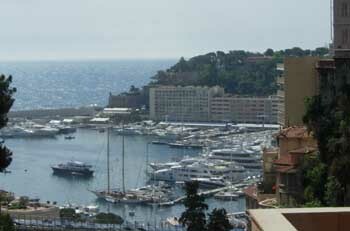 The city has two yacht harbours either side of La Croisette. To the west is the Vieux Port and old town, Le Suquet, a pretty Provencal citadel whose cobbled streets are lined with restaurants. There's also a charming flower market. 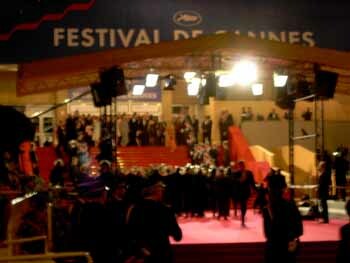 Cannes is busy all year-round, with busi- ness conventions in winter. Once a fishing village St- Tropez is another magnet for the rich and famous, the idealloca- tion for people watching and celebrity spotting, perhaps from a cafe by the harbour, which is home to spectacular yachts. Restaurants and shops abound, and the nightlife is lively, with private parties in luxurious villas by the bay - arrive by yacht or helicopter for ultimate glamour. St-Tropez was first popular in the 1920s with international fashion- istas and the French existential- ists made it their summer home after the war, but it really became famous in the 50s when stars such as Brigitte Bardot claimed it as their own. The best beaches are in the Bay of Pampelonne. On the Italian border Menton is protected on three sides by mountains, giving an exceptionally mild climate (an annual average temperature of 16°C). This makes it ideal for the cultivation of citrus fruit and- olives - it's the only town in Europe where lemons bear fruit all year round. Every February the town celebrates with the Fete des Citrons, one of the Riviera's most visited events. Architecture in the town rep- resents three main styles 16 medieval (14-15th centuries), Baroque (17-18th centuries) and Belle Epoque (19th century).The town also has a 17th-centu- ry fortress, now the Musee Jean Cocteau. Menton became a fash- ionable resort between 1870 and 1913, favoured by wealthy visi- tors escaping grey winters else- where in Europe. Just to the west of Menton is the principality of Monaco, whose capital is Monte Carlo. Famous for its Formula 1 Grand Prix, the city-state is home to millionaires and motor racing heroes. It is thoroughly interna- tional, with a thriving economy and good educational facilities. It's hard to believe that Monaco was Europe's poorest state in the 19th century. 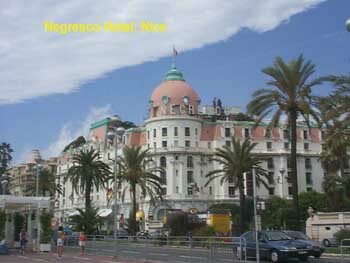 Monte Carlo was built on its casino, set up in 1863 by Frenchman Francois Blanc who ran a successful casino in Germany. Blanc persuaded the French government to build roads and extend the railway to Monte Carlo (he lent it almost five million francs at a low interst rate) and his casino received the blessing of the church after Cardinal Pecci became one of the shareholders. 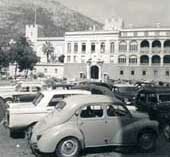 Prince Charles of Monaco also received an annual fee, shares and 10% of the profits. At the time gambling was outlawed in France but on seeing the profits to be made, the government legalised gambling, although Monaco kept the monoply on roulette tables until 1933. The Prince and Princess of Wales' visit to the casino in 1875 gave it true respectability. Shortly after the casino opened Monaco abolished income tax (1869). To relo- cate there you have to jump through a series of hoops - basi- cally you're only allowed to live there if you're rich (which you'd have to be to afford to live there in the first place). Cap Martin was made an aristocratic enclave by Empress Eugenie (widow of Napoleon Ill) and Empress Elisabeth of Austria. They were the first in a long line of illustrious visitors. Indeed Le Corbusier died here of a heart attack while swimming off the rocks. Now the Promenade Le Corbusier winds around the lush cape, past hid- den villas which are among the most expensive on the Côte d'Azur. The path ends at Monte Carlo beach. 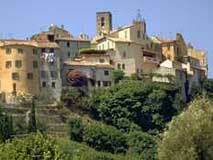 Inland the medieval village of Roquebrune was a free town until it joined France in 1861. Moving east the medieval village of Eze-sur-Mer is perched on a rocky peak overlooking the sea. The village forms a circular pattern around the 12th-century castle ruins which contain the Jardin Exotique, from which there are fabulous views. Beaulieu-sur-Mer is another icon of exclusivity by the sea, once favoured by English and Russian royalty. Its beaches are lined with palm trees, and it has quaint streets, a Romanesque chapel and luxury homes. Cap Ferrat has lush greenery, small beaches and coves and yet more exclusive villas St-]ean-Cap-Ferrat was once a fishing port but now it's home to luxury yachts, while the Plage de Paloma attracts its fair share of millionaires. Five kilometres from Nice, Villefranche-sur-Mer is located on terraced hills overlooking one of the Riviera's most beautiful bays. It has exotic vegetation and a rich heritage. Narrow streets wind through the pretty old town with its colourful 'trompe l'oeil' houses, and the 16th-century citadel built by the Duke of Savoy now houses the town hall, an open air theatre, gardens, three museums and a congress centre. There's also an old harbour and private and public beaches. Beyond Antibes and Cannes the deep red Massif d'Esteral rises steeply above the sea. Between here and the Massif des Maures, Fréjus is known for its Roman remains. The Roman port was filled in in 1774. The town also has a cathedral, cloisters and the oldest baptistry in France. Although St-Raphael's medieval centre and glamorous early 20th-century buildings were bombed in the war, there are still some pretty streets and there's a palm-lined boulevard along the seafront. 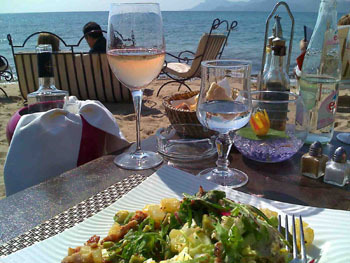 Ste-Maxime is a modem resort town with a port and sandy beach facing St-Tropez. Nearby Port Grimaud was created in the late 1960s - it's basically one big marina. with colourful Venetian style waterside homes with private moorings. It's not to be confused with Grimaud a little inland, a beautiful village perché which was once a Saracen and Templar stronghold. Between St-Tropez and Hyères are a string of smaller more family-friendly resorts such as Cavalaire-sur-Mer and Le Lavandou. Hyeres, often called the gateway to the Riviera, is set back from the sea a few kilome- tres on a fertile plain perfect for growing fruit and flowers. Like many other Riviera towns it has an illustrious past - Queen Victoria was a frequent visitor. It has a mix of broad avenues and narrow winding streets, palm trees, a colourful market, Romanesque church, town ram- parts and Renaissance and even Romanesque houses. To the south of Hyères are the Hyères islands, of which there are three (Porquerolles, Port Cros and Levant). In Renaissance times they were known as the golden isles due to the way the sun glinted off their rock formations. Tranquil and popular with nature lovers (and naturists on Levant) - Port Cros is a national park. Part of Levant is a testing ground for the French navy. The Riviera hinterland is home to many beautiful Provencal villages, such as Biot , Valbonne, Mougins, Mouans Sartoux, Vallouris, Le Bar-sur- Loup and Tourette-sur-Loup, and St-Paul-de-Vence. About 10km from the coast Vence has relics of a Roman victory arch, a medieval old town and castle dating from the 17th century. Above the Bay of Cannes Grasse is renowned as the perfume capi- tal of the world. It sits atop a series of limestone terraces spreading up from the bay like a natural amphitheatre. Visitors throng to enjoy the wonderful views and sweet scents, which enchanted Pauline Bonaparte, Napoleon's sister, during her stay here while separated from Prince Borghese. Living on the Riviera The mild climate, glamorous lifestyle, beautiful properties and stunning scenery have made the Riviera one of the most desirable places to live in the world. Then there's the added advantage of skiing in winter in the southern Alps just an hour or so away from the beaches. At some times of the year you can even ski in the morning and sun yourself by the sea in the afternoon! The Riviera is home to a mixed population from all over the world. Of the Côte d'Azur's million inhabitants, 12% are foreign and 21 % are under 20 years old. There's a sizeable British community, with English-lan- guage newspapers and publica- tions (Riviera Times, Riviera' Reporter, Anglo Riviera Guide), an English-language radio station (Riviera Radio), and numerous clubs and associations. Business is equally interna- tional, especially around Sophia Antipolis. The Chamber of Commerce in Nice has an English-language section on its website, with a variety of services and information on offer, and there's even a British Chamber of Commerce. Around 83% of jobs on the Côte d'Azur are with- in the service sector. 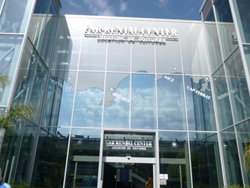 The area also offers a choice of schools and educational insti- tutions, such as the International School of Nice or the CERAM Sophia Antipolis Graduate School of Management and Technology. In fact the Côte d'Azur has 12 international schools for all levels located in Nice, Sophia Antipolis, Cannes, Valbonne, Cagnes sur Mer and Le Rouet. Property show The Riviera offers a wide choice of properties, including turn-of- the-century mansions, luxury apartments and villas, village and townhouses, established resi- dences, off-plan developments and so on. In Nice, Cannes, Cap d'Antibes and Cap Ferrat you can find Belle Epoque architecture, contrasting with renovated Provencal stone houses in the countryside. These come with a high premium, especially if they have original features. 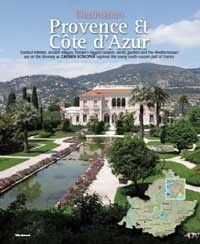 The most common is new Provencal-style villas and new developments. Villas vary from traditionally styled to ultra modern.